7.9" x 8.1" stitched on 14 count. 6.1" x 6.3" stitched on 18 count. 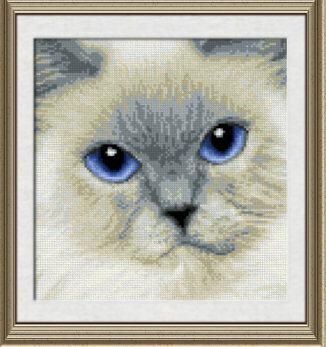 Buttons (himalayan) cross stitch pattern... Enchanting blue-eyed cat close up.